We are so excited to announce that “Milly” is now a Pending GCH! 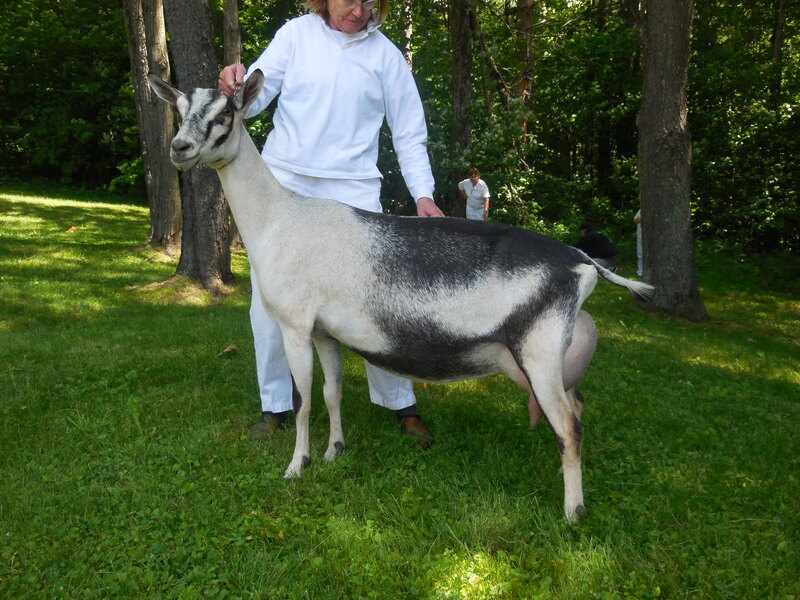 She went Grand Chamption and Best of Breed at both the NH DGA spring show and again at the Southern Vermont show last weekend. On top of that, she was just appraised at 91 EEEE, with an E in e very structural category except her V in feet. She’s looking gorgeous this year! We have retained her two doelings from our junior herd sire, Pleasant-Grove Notable Nikola.